1. What if I have dental Insurance? Can I still come to Basic Dental? 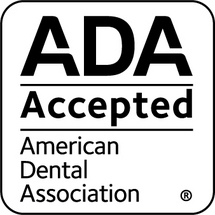 We welcome people with dental insurance, just as we welcome those who do not have dental insurance. As far as we are concerned, everyone is the same. Dental Insurance is a benefit available to employees of certain companies and is a "contract" between the employer, employee, and the insurance company. We accept all insurances. 2. Are your fees lower on everything? Will you tell me your fees? Yes! You should not be afraid to ask prices or second opinions. It is your hard earned money that will be paying for the dentistry. Please call our office, 208-888-3384, to compare our prices. 3. What if I need to get some teeth fixed now and I don't have enough cash in my wallet? We understand that sometimes the cost of treatment can be unexpected. We also dont want your dental conditions to get worse if left untreated. For this reason, we offer financing through Care Credit. 4. I get nervous when visiting a dental office. Can I come to Basic Dental? Absolutely! We offer oral sedation. Let us know your concerns when you schedule so we can discuss options. 5. Do you take children? We work Monday through Thursday from 8:00 AM to 5:00 PM. Sometimes we will work on Fridays. We are located in Meridian, near the corner of Pine and Linder Rd. We are right across the street from the Meridian High School tennis courts. 8. Do you see patients for second opinions? We recommend patients get a second opinion for any treatment you are questioning. Sometimes you could have developed a bunch of new problems due to a new habit. A second opinion is an inexpensive and easy way to verify your treatment needed. We would suggest that you come in and let us take a look. 208-888-3384. Basically Everything, Minus the High Costs. If you like going to "the dental spa" to get your hands massaged while watching a movie on the ceiling in a massage chair, Basic Dental Care is not the place for you. If you're looking for exceptional dental care, but prefer to spend your hard earned money on things other than your dentists designer office, then we should talk. For any information you may need, including prices or to schedule an appointment please give us a call. Copyright © 2017, Basic Dental Care All Rights Reserved.